I've opened my Etsy store finally! I have added the "It's My Party" Suite from Lily's 6th birthday, as well as a couple of other items. 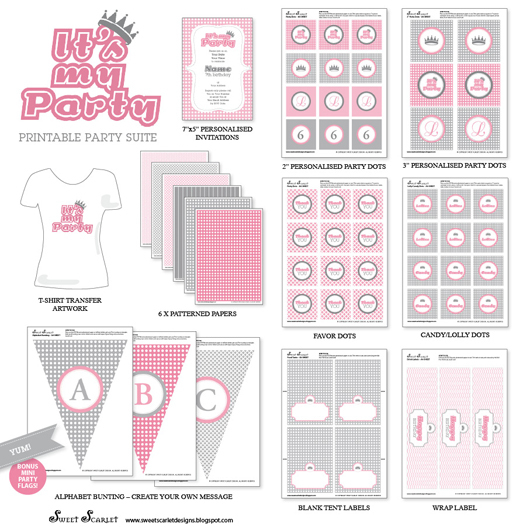 "It's My Party" DIY Party Suite. Great design for any aged girl, right up to Sweet Sixteens, 18's & 21's. Personalised with monogram, age and invitation details. 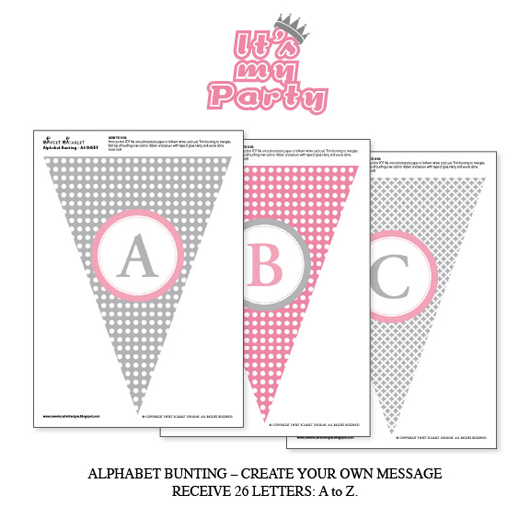 "It's My Party" Alphabet Bunting. Create your own message and use as many times as you like. Use for birthdays, bridal and baby showers or any celebratory event. 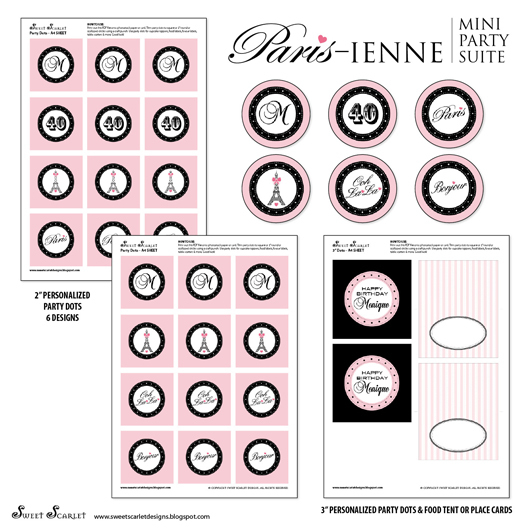 My Parisienne Party DIY Printable Mini Suite. Personalised with Monogram, age and name. Product Review: Donna Hay's Macaron Mix; How to make your own vintage cupcake stands and TrueBlood Cupcakes! Stay tuned, thanks for reading. Congrats on the Etsy opening. Congrats! Can't wait for True Blood Cupcakes...how fun!